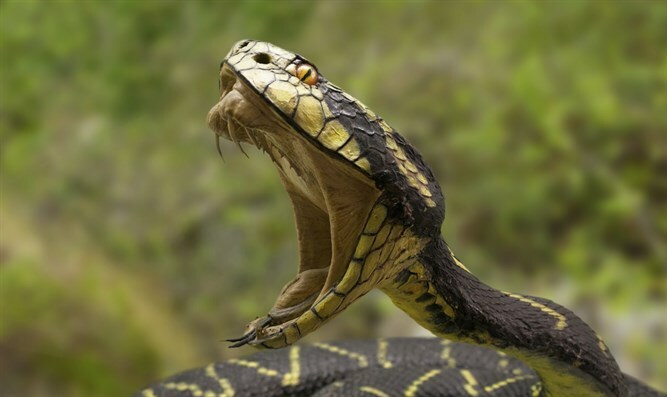 Israel's decision to choose national snake draws ire from Palestinian Authority, which claims Israel 'stole' Palestine viper. Last Thursday, Israel’s Society for the Protection of Nature and the Israel Nature and Parks Authority named the Palestine viper as Israel’s national snake. The Palestine viper, or daboia palaestinae, was selected based on an online vote. Found across the Levant, from the northern Negev and western Jordan in the south to northern Lebanon and central Syria in the north, the snake is common throughout most of Israel, and in Hebrew is referred to as the ‘common viper’, or ‘common Land of Israel viper’. The Palestinian Authority protested the move, calling it an act of ‘theft’ which ignored what they called the viper’s Palestinian heritage. Imad al-Atrash, the Executive Director of the Palestine Wildlife Society, denounced Thursday’s announcement regarding the viper, adding that the struggle over the snake’s national identity was part of the larger battle by the PA to preserve ‘Palestinian identity’. Al-Atrash called on outside organizations to join the struggle to recognize the snake as the ‘Palestine viper’, rather than as the ‘Land of Israel viper’.